I think the flowering trees have opened up all at once! I really enjoyed all of nature's beauty this morning while I was out running errands. This is the card I made for April's Challenge at the Cats Pajamas Challenge Blog. 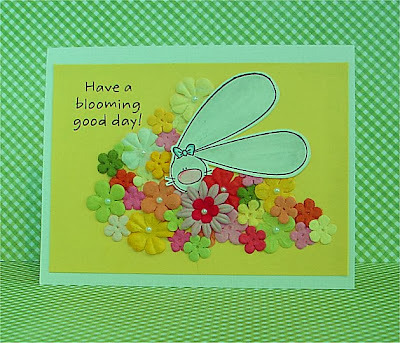 The challenge is to make a card with flowers being the focal point not just an embellishment. Originally, this cute little big eared bunny was holding a birthday cake...but I think she looks right at home here frolicking in the flowers! 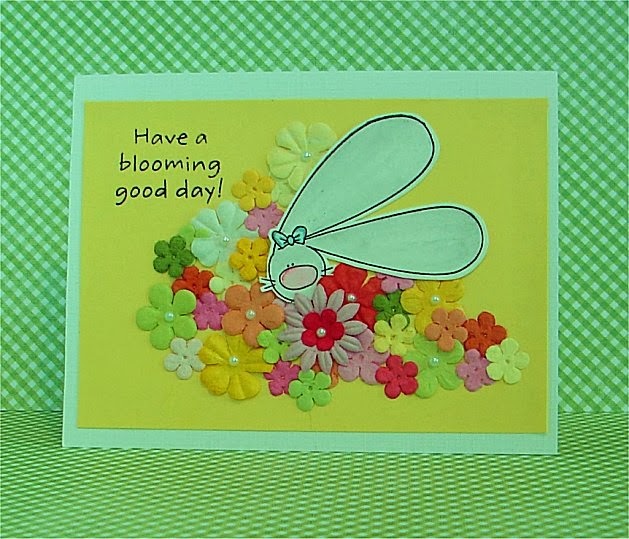 Very pretty flower card-and i just love that little face peeping out !